October is the month of pumpkins! 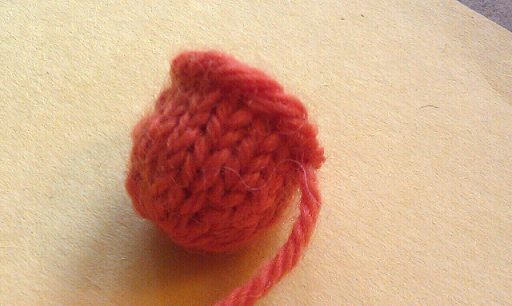 This teeny little pumpkin was a really fast knit and is great if you have a little orange wool around. I used size 3 knitting needles, scrap Wool of the Andes yarn in orange and green hand dyed. 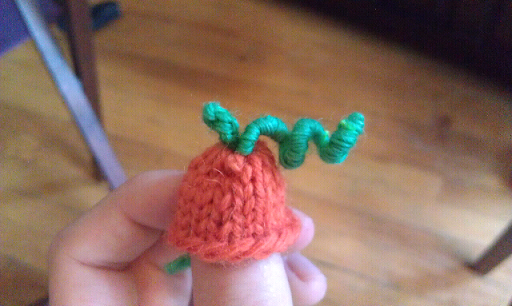 I made a few modifications to the pattern: I knit the pumpkin in the round on 3 dpn's to avoid extra seeming. I didn't wrap the pumpkin to make ridges. Instead, after pulling the bottom closed (the loose ends were enough stuffing) I pulled it through the top next to the stem and pulled tight to get the pumpkin shape. 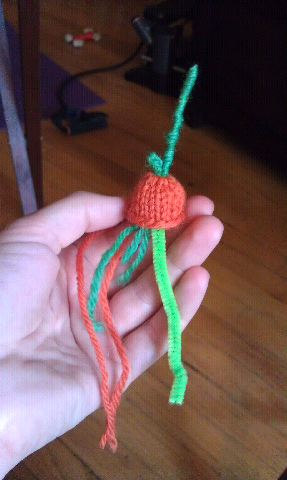 For the stem, I wrapped the green yarn around my pipecleaner for the vine. I love this last little picture because it really shows how tiny this pumpkin is. 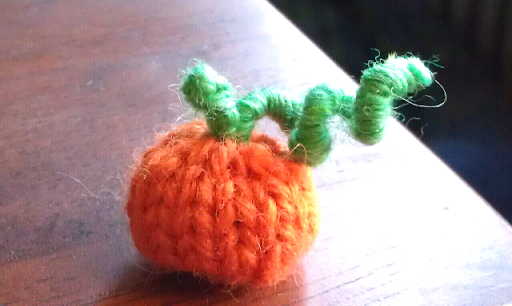 What a great addition to our growing knit pumpkin collection! oh how adorable..........so so cute. Thank you! It was super fun to make. Thank you so much, that is so sweet of you. very sweet pumpkin. 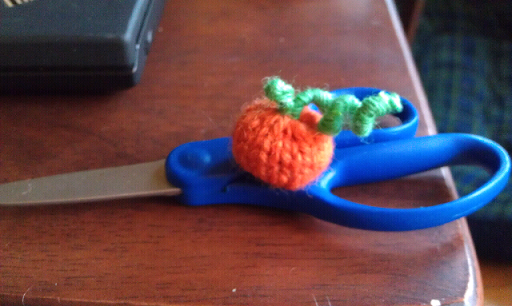 I have been making s=mall pumpkins but these are really small.